The BBC World Service began as the BBC Empire Service on this date in 1932 – a shortwave service aimed principally at English speakers in the outposts of the British Empire. In his first Christmas Message, King George V stated that the service was intended for “men and women, so cut off by the snow, the desert, or the sea, that only voices out of the air can reach them.” First hopes for the Empire Service were low. The Director General, Sir John Reith (later Lord Reith) said in the opening program: “Don’t expect too much in the early days; for some time we shall transmit comparatively simple programs, to give the best chance of intelligible reception and provide evidence as to the type of material most suitable for the service in each zone. The programmes will neither be very interesting nor very good.” This address was read out five times as it was broadcast live to different parts of the world. The BBC World Service is the world’s largest international broadcaster, broadcasting radio and television news, speech and discussions in 29 languages to many parts of the world on analogue and digital shortwave platforms, internet streaming, podcasting, satellite, FM and MW relays. It was announced in November 2015 that The BBC World Service will start broadcasting in Nigerian Pidgin and Yoruba in Nigeria, when this service starts it will bring the total number of broadcast languages to 31. The World Service was reported to have reached 188 million people a week (TV, radio and online) on average in June 2009. The English language service broadcasts 24 hours a day. On 3 January 1938, the first foreign-language service, Arabic, was launched. German programs commenced on 29 March 1938 and by the end of 1942 broadcasts were being made in all major European languages. As a result, the Empire Service was renamed the BBC Overseas Service in November 1939, and a dedicated BBC European Service was added in 1941. These broadcasting services, financed not from the domestic license fee but from government grant-in-aid (from the Foreign Office budget), were known administratively as the External Services of the BBC. The External Services broadcast propaganda during the Second World War. Its French service Radio Londres also sent coded messages to the French Resistance. George Orwell broadcast many news bulletins on the Eastern Service during World War II. By the end of the 1940s the number of languages broadcast had expanded and reception had improved following the opening of a relay in modern day Malaysia and of the Limassol relay, Cyprus, in 1957. 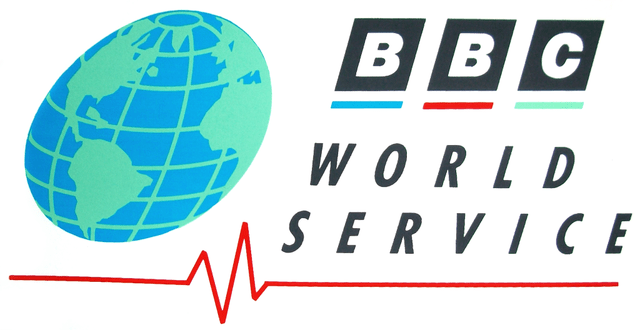 On 1 May 1965 the service took its current name of BBC World Service and the service itself expanded its reach with the opening of the Ascension Island relay in 1966, serving African audiences with greater signal and reception, and the later relay on the Island of Masirah. In recent years, financial pressures have decreased the number and type of services offered by the BBC. 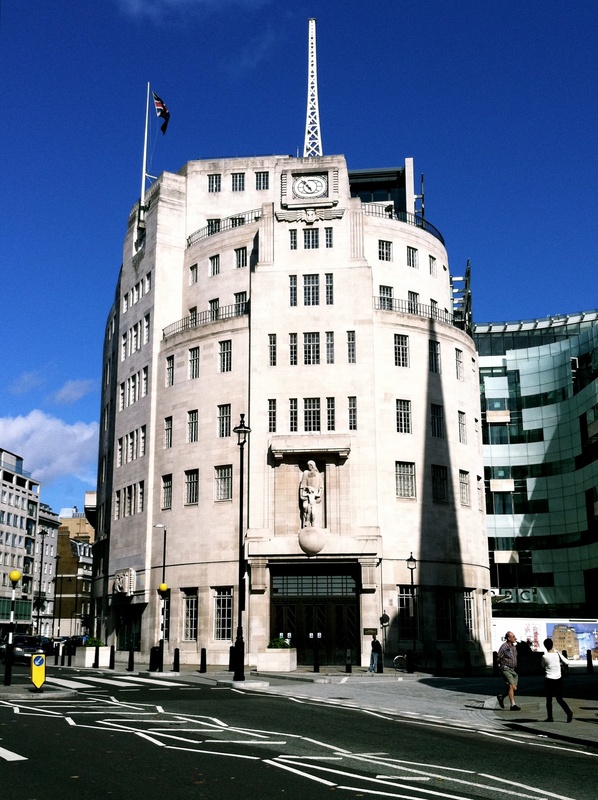 Due to the launch of internet-based services, the need for a radio station is less frequent in countries where the population has easy access to the internet news sites of the BBC. The German broadcasts were stopped in March 1999 after research showed that the majority of German listeners tuned into the English version of the service. 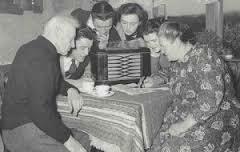 Broadcasts in Dutch, Finnish, French for Europe, Hebrew, Italian, Japanese and Malay were stopped for similar reasons. Traditionally, the BBC World Service relied on shortwave broadcasts, because of its ability to overcome barriers of censorship, distance and spectrum scarcity. To this end, the BBC has maintained a worldwide network of shortwave relay stations since the 1940s, mainly in former British colonies. These cross border broadcasts have also been used in special circumstances to broadcast emergency messages to British subjects abroad, such as the advice to evacuate Jordan during the Black September incidents of September 1970. The BBC World Service on shortwave was a great boon to me in the 1970s through to the end of the 1990s. I used to listen to the news regularly as a counter to the national news services of the USA, which omitted so many international stories that I was interested in. I would also tune in to comedies, quiz shows, and dramas, for a change of pace, and, of course, on Christmas Eve I always put on Carols from Kings. 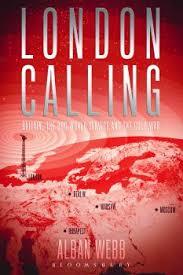 Long distance shortwave can often be temperamental, and the BBC routinely switched frequencies throughout the day. So I had to keep a log of when the different frequencies were active, to be able to catch programs I liked. <sigh> . . .days long gone with the advent of high speed internet, live streaming, and podcasts. Cooking shows are not very common on the BBC World Service because radio is far from ideal for conveying recipes; television gives much more scope. But I found two places where you can tune in. Go here for the latest episodes of Paula McIntyre’s show “Cooking with Paula McIntyre.” I don’t know how long this link will work, but you can always go to the BBC home page and search for cooking shows that are current. As Patten points out, bread sauce is delicious when cooked properly, or much like old-fashioned library paste if not. 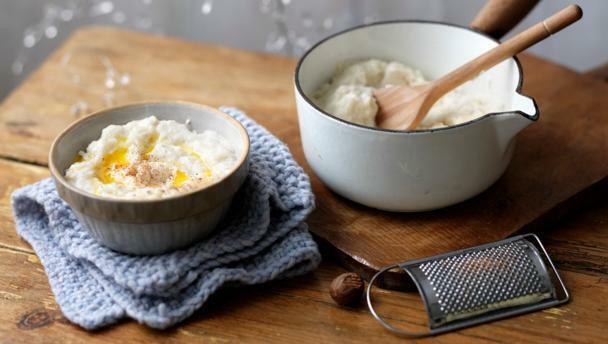 Bread sauce is basically a milk sauce thickened with breadcrumbs and seasoned with onion, cloves, and mace. The secret, Patten says (and as my mum made it), was to properly infuse the milk with the seasonings, which involves bring a pan of milk to the boil with an onion studded with cloves plus a blade of mace, and then letting it sit to cool for several hours before adding the breadcrumbs. When I was a boy bread sauce was an essential component of Christmas dinner.